Conceived as an (ultimately futile) exercise in control. 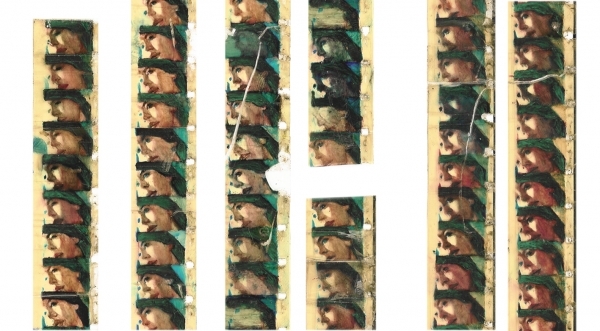 By painting the sequential images directly onto the celluloid, the elements of chance associated with cinematically recording life - and with chemical film development - were eliminated. However, the increasing acidity of the oil paint organically decayed the film from the inside out, causing it to splinter and jam in the projector. Finally the object was destroyed by its own contradictory physical makeup. What began as a quest for control and perfection thus ending in chaos and faultiness.